Cement blocks are very useful, easy to build with, relatively inexpensive and structurally sound. However, they are not particularly pretty. If your property is graced with a large and unsightly cement-block wall, there a number of ways to camouflage it. That way, you benefit from its sturdiness but don't have to look at it. If you are patient, plants offer the easiest and cheapest way to obscure an ugly cement block wall, the only disadvantage being that you will have to wait for them to grow over it. Thick, low-growing hedges work well for this purpose, as do climbing vines such as clematis, ivy or bougainvillea. Depending on whether your concrete wall is a foundation, retaining wall or other structure, you can plant the vines at the base of the wall and train them to climb it, or plant them at the top and allow them to grow down over its face. Parging is the act of applying stucco, surface bonding cement or any of a number of other similar products to the surface of the wall. These products will hide the joints between the cement blocks and also obscure the blocks' rough surface. Tinted parging material can be used, or the parged surface can be painted after it has cured. 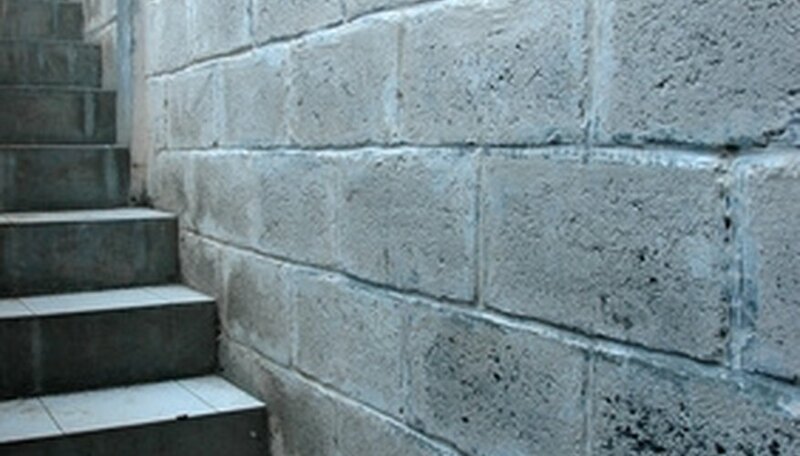 Cement blocks should be kept damp when parging material is being applied, in order to increase the strength of the bond between it and the blocks. If you are feeling ambitious and want a beautiful look, you can build a veneer of stone over the face of your cement block wall. You can use real stone for this purpose, or products such as Cultured Stone (the trade name of cement-based pieces made to look like stone). This is a fairly labor-intensive option for covering cement block, but if done properly it is very beautiful, and will look just like a real stone wall. For a complete transformation of your ugly cement-block wall, face it with real stone and then plant climbing ivy and flowers in front of the stone. If you don't have the time or the money for any other option, a coat of paint will improve the look of a concrete wall. Choose an unobtrusive color that is similar to surrounding walls, and it will help to obscure the wall and fade it into the background.